Oskar Blues Grill and Brew of Lyons, CO is just one of the locations in the Oskar Blues family, but it’s by far our favorite. Their beloved basement and juke joint have become infamous for stellar performances, especially after Rolling Stone mentioned them as one of the best places to be on a Saturday night in Colorado. Check out more great info on their site about this venue: grill and brew info. And here’s a link to see what’s scheduled soon on their calendar. Maybe an event coincides with your next trip to Rocky Mountain N.P. SKA Brewing of Durango might be a trek from the front range, but a visit to the San Juans is always worth the trip. Incorporate a tasty SKA beer and some live music, and you’re sure to have a memorable experience. 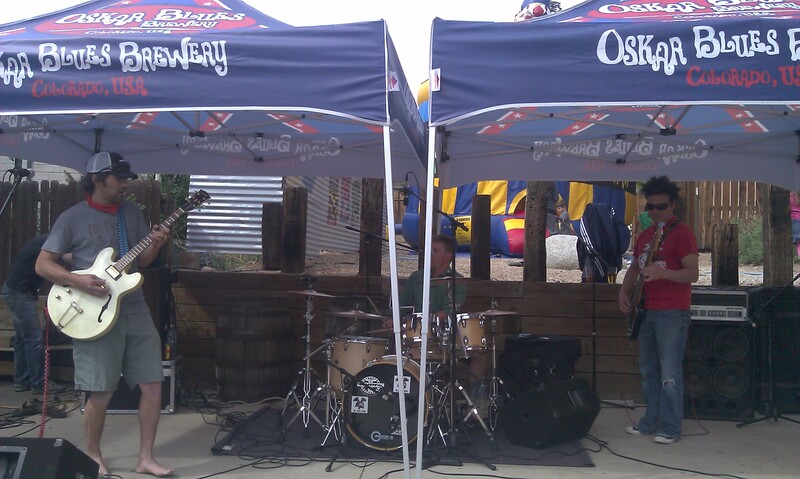 The stage at SKA’s World Beer Headquarters sits right outside in their beer garden, offering a perfect place to soak in the incredible scenery, enjoy a pint, and listen to music. It doesn’t get any more Colorado than this! This entry was posted in Beautiful Breweries and tagged Craft Beer Music Venues, Durango Music, Lyons Music, Music and Beer, Oskar Blues Music, Ska Brewing Music.